Quite possibly our most relaxed tour ever, this tour features exploration of these barrier islands steeped in history. There were colonists here thirty years before the Pilgrims. 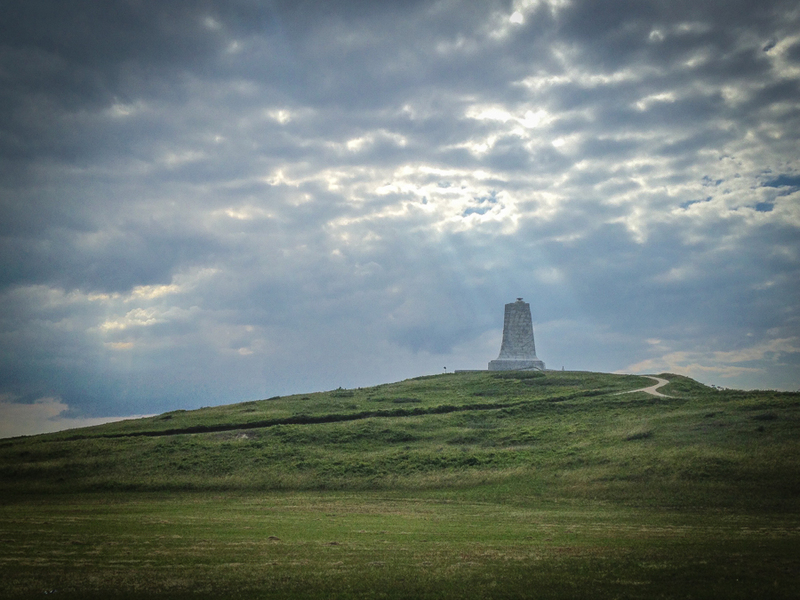 This is where the Wright Brothers had their first flight at Kitty Hawk. Home to legendary pirates, shipwrecks, lighthouses and wild horses. You won’t be able to miss the Atlantic Ocean beaches and Albemarle Sound marinas. 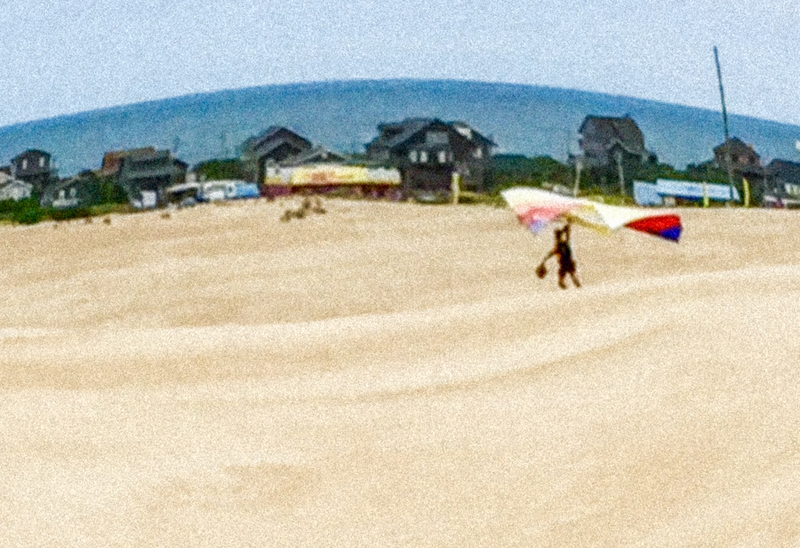 Surfers, paddle boarders and hang gliders seem to be everywhere! There’s excellent shopping, fine and casual dining to enjoy. Naturalists can enjoy several wildlife refuges in the area, perfect for birdwatching. Fisherman have their choice of several piers, surf fishing or chartered services. The riding here is easy, since it’s flat terrain and we’ll be almost entirely on bike paths. We’ll include a visit to the Wright Brothers National Memorial, have lunch in a place called Duck, and you’ll have plenty of time to walk the beach, charter a fishing trip, see the wild horses, or just read a book in the shade. 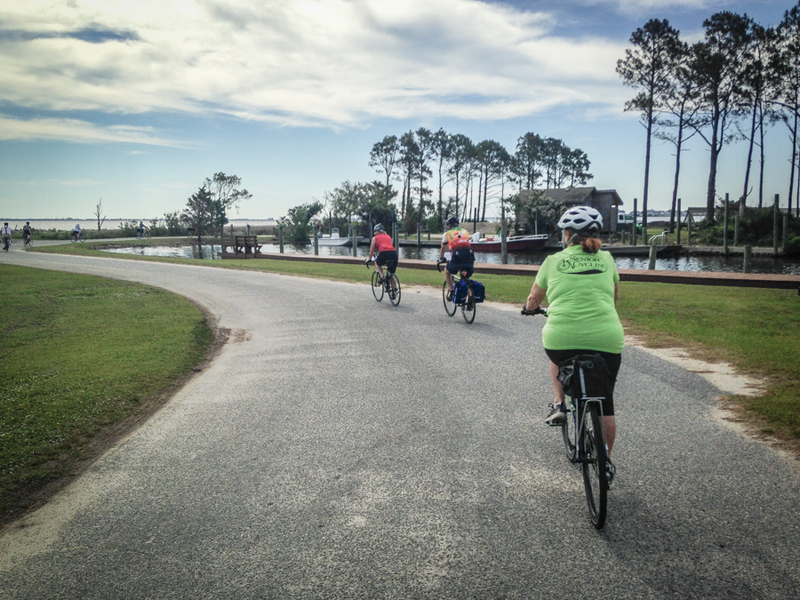 We’ll ride alongside giant sand dunes, through quiet woodlands, past docks and piers on the sound, utilizing the Dare County bike paths. 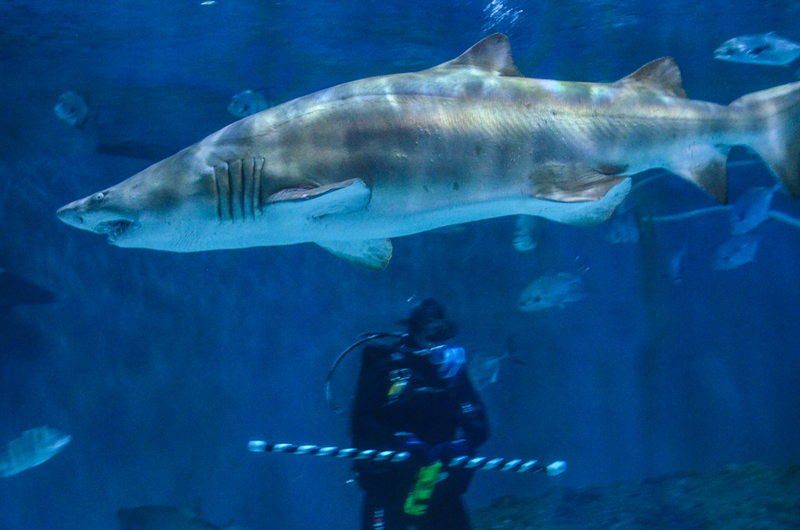 We’ll also visit Manteo’s Festival Park, Fort Raleigh and the North Carolina State Aquarium. You will have one entire day without any scheduling to do whatever you please. Our “home base” hotel features large comfortable suites, a fitness room, outdoor heated pool and spa and beach access. And it’s located right on the bike path so you can come and go as you please. 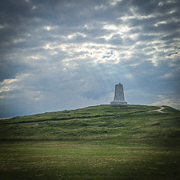 15 / 30 miles – We ride from the Wright Brothers National Memorial (admission included) to the town of Duck. Along the way you may choose to stop and explore the piers or do a bit of shopping. Lunch is on your own in Duck. We van everyone back to the hotel, unless you wish to ride the 15 miles back on your own. Mark will ride sweep if anyone wants to do this ride. 15 miles - We start today’s ride where we left off yesterday in Duck. The bike trail takes us up to the town of Corolla, where we’ll all meet for a picnic lunch at Historic Currituck Park. 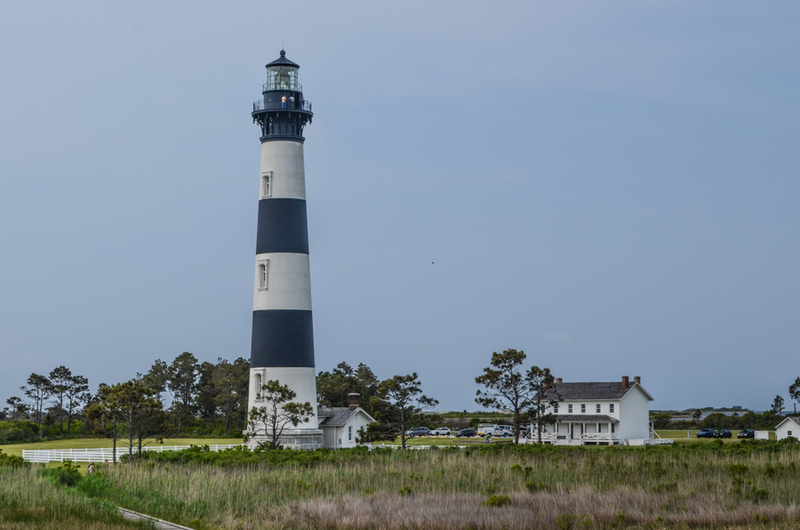 After lunch you are free to explore the gorgeous grounds, climb the lighthouse stairs for a magnificent view, check out the Whalehead Club or visit the excellent NC Wildlife Educational Center. Rest Day. You are on your own to enjoy the area’s many attractions. 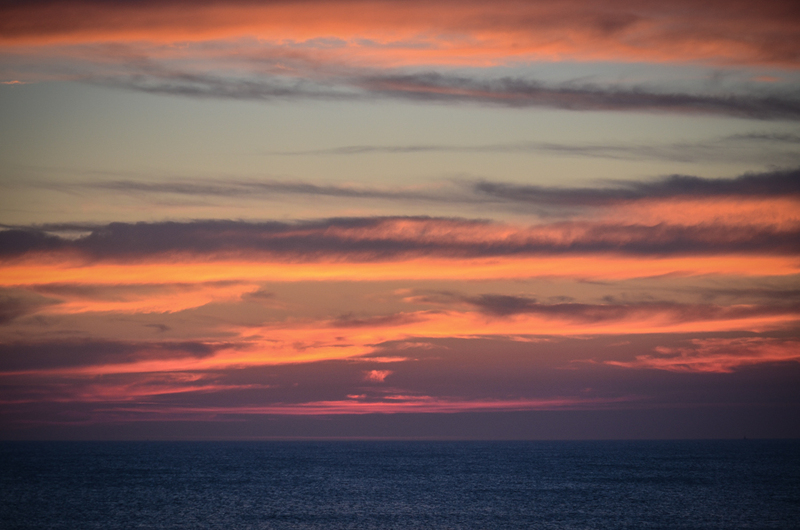 From beachcombing out the hotel’s back door, to chartered fishing, to surfing… the day is yours. 15 miles – Today we’ll regroup to boast about our rest day activities, and do some more riding to see the sights at Manteo. 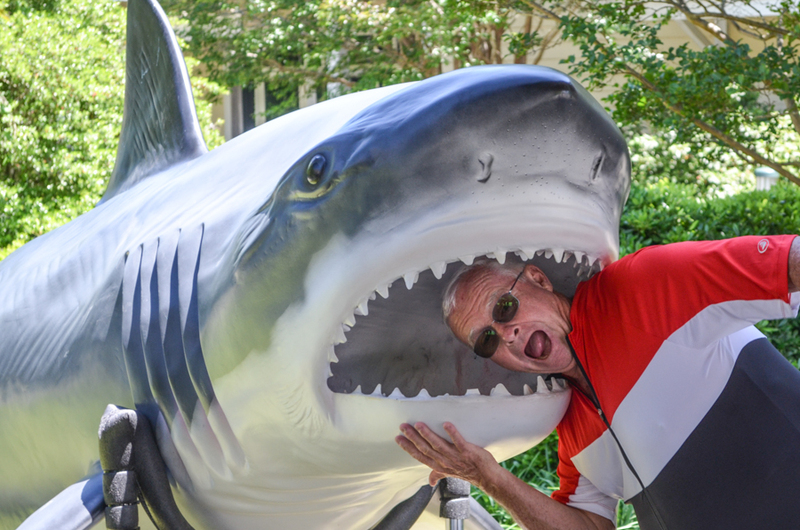 We begin with a bike ride through the quiet town to the NC Aquarium (admission included), followed by a picnic lunch. A stop at Fort Raleigh is next, a park with lots of history. You’ll ride back on the trail and end up in downtown Manteo for refreshments and to see the many shops there. A quick van ride back to the hotel, then out for dinner in Kill Devil Hills, on us! The cost of this trip is $1650 per person (double occupancy) *Rooms have either: 2 Double beds OR 1 King, one bath, large refrigerator, microwave, fold-down trundle bed, couch, television, internet. These are large, comfortable suites. Single supplement fee is $480. 50% of the total is a required deposit due upon registration. Cancellation details: If you cancel by 60 days prior to departure date, you will receive a 90% refund. If you cancel less than 60 days prior to departure date no refund will be given. If we cancel due to not meeting our minimum number of riders, we will refund 100% of your payment. This decision will be made no later than thirty (30) days prior to the trip. This trip starts on Sunday, May 5, 2019 and ends on Friday, May 10, 2019. If you are flying, there are shuttle services available from the Norfolk International Airport. 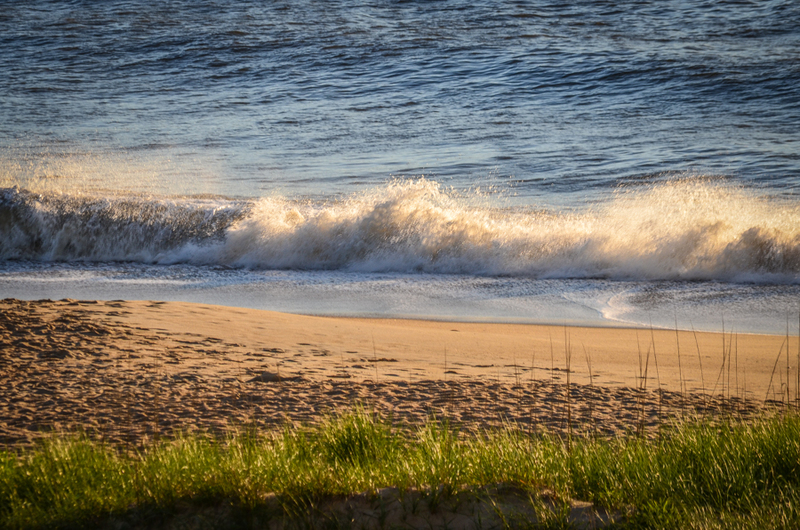 OBX Shuttle or Outer Banks Transportation Service are two options. 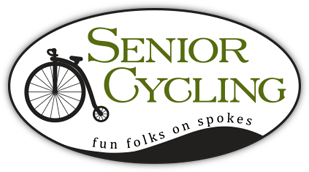 Senior Cycling no longer offers airport pickup or return for any of our tours. If you have already registered and were expecting this service, please contact Mark or Colleen for instructions. 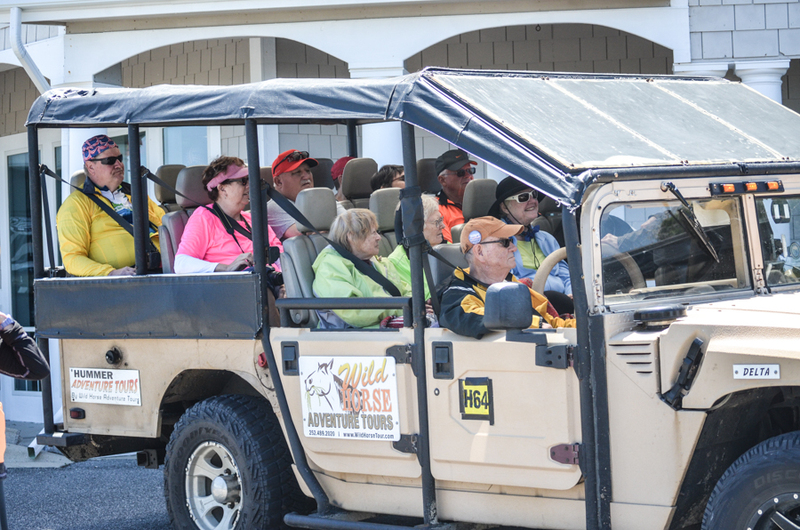 If you are driving, we meet you at our hotel: Best Western Ocean Reef Suites, 107 South Virginia Dare Trail, Kill Devil Hills, NC 27948. (252) 441-1611. You may leave your car at the Best Western during our stay. For this trip, we have reserved 5 nights at the Best Western Ocean Reef Suites hotel, all included. If you plan to bring your own bike and it is a non-standard bike such as a recumbent or tandem, you will need to discuss transport issues with me before you register for this trip. We may or may not be able to accommodate. Bike rental is available at $100 for this trip and this amount is due with your final payment.